To the surprise of only those who believe everything they read on the internet (which is a fairly large chunk of the population), Major League Baseball and the MLBPA agreed to a new collective bargaining agreement on Wednesday night before the midnight deadline. Much of the mainstream focus has been on two relatively simple, but still somewhat important, factors: the banning of chewing tobacco for all new major league players and removal of home-field advantage in the World Series from the All-Star Game. However, there are plenty of tweaks provided in the new CBA that will have an impact on the game in the future. Let’s run them down, shall we? MLB’s luxury tax was set at $189 million in 2016 under the previous CBA. It will increase over the five years of the new CBA, going to $195 million in 2017, $197 million in 2018, $206 million in 2019, $209 million in 2020, and $210 million in 2021. The tax rates for teams that exceed the threshold haven’t been revealed yet, though they will be “similar” to those in the current deal, which began at 22.5% on every dollar over the luxury tax limit for first-time offenders and increasing to 50% on every dollar for teams that exceeded the limit at least four times. The tax rates also come on a sliding scale for multiple-time offenders, increasing to 95% on every dollar they spend over $40 million more than the threshold. The bad news is that the qualifying offer system still exists, including the value (average salary of baseball’s top 125 players) and the restrictions (must be on the team all season) on free agents. The good news is that the punishments for teams signing a player given the qualifying offer have been taken down a notch. Teams will no longer give up first-round draft picks to sign players that received the qualifying offer. Instead, teams over the luxury tax threshold will lose a second- and fifth-round draft pick, along with $1 million in international spending money, while teams under the luxury tax threshold will lose a third-round pick. In an added bonus for the union, a player can only receive a qualifying offer once. This is good news for players like Ian Desmond and Ervin Santana, who declined a qualifying offer, signed a one-year deal, and received another qualifying offer at the end of the season after putting together a better year. Players also have 10 days to accept the offer, rather than seven. Teams will still receive draft choices for losing players to whom they gave the qualifying offer, but the rules are a bit stickier. Any team which loses a player that declined the qualifying offer will receive a draft pick following the second-round competitive balance picks, instead of in the sandwich round immediately after the first round. However, teams can still receive a sandwich pick after the first round if they’re from one of baseball’s 15 smallest markets, a revenue-sharing recipient, and the player in question receives a contract of at least $50 million. Also, teams exceeding the luxury tax threshold will only receive a draft pick after the fourth round if losing one of their players that declines the qualifying offer. Sorry, Yankees and Dodgers. MLB didn't get international draft, but it got exactly what it most wanted w/the annual spending cap of about $5m per team: Cost certainty. There’s no international draft, thankfully. Teams will be faced with a hard cap of roughly $5 million when it comes to signing foreign amateurs, which will (in theory) depress spending in that market, given that plenty of teams don’t even bother spending their international bonus money. In the past, the cap was soft and teams could exceed it (and did every year) with the only punishment being a tax of up to 100% on overages and the loss of the ability to sign international amateurs for one or two years, depending on the overages. The age for players affected by this cap is also reportedly increasing from 23 to 25, further damaging the earning potential of young players like Japanese superstar Shohei Otani, currently 22. ** Smokeless tobacco is banned for all “new” major league players, though current major leaguers have been grandfathered in. A “new” major league player is considered someone without one day of service time, meaning every player with at one day of service in the majors can still chew — at least in the ballparks located in cities that haven’t banned it already. ** The minimum salary is going up, jumping to $535,000 in 2017, $545,000 in 2018, $555,000 in 2019, and cost of living increases in both 2020 and 2021. ** The regular season will increase by four days, from 183 to 187, allowing for more off days to be built in to the schedule starting in 2018. The amount of games per season will reportedly remain at 162. ** Drug testing will be increased, HGH biomarker testing begins in 2017, and players serving PED suspensions will not receive service time during those suspensions. ** Changes to revenue sharing, the domestic violence policy, and the MLB Draft were discussed, but no details of those changes (if any were agreed to) have been revealed yet. Also, the Oakland Athletics will be phased out of MLB’s revenue-sharing plan, dropping to 75% in 2017, 50% in 2018, and 25% in 2019 before being dropped in 2020. ** A couple other minor notes about the MLB Draft: Any team that exceeds the luxury tax limit by at least $40 million will have their highest selection in the Draft drop by 10 places. The gaps in first-round slot value will also be shrunk a bit, meaning teams at the top of the round have a bit of a lesser advantage than teams at the middle and bottom of the round. ** The 15-day DL is dead and buried, and the minimum disabled list stay has been reduced to 10 days. 10-day DL doesn’t have quite the same ring to it. ** There were no changes to the roster size, meaning the flawed 25-man roster from April to August and the 40-man roster in September will both remain in effect. Based on what we know right now, what’s the verdict? International amateurs come out as the big losers. But they always were going to be screwed, given that they’re not members of the union and the owners had been gunning for an international draft for months. 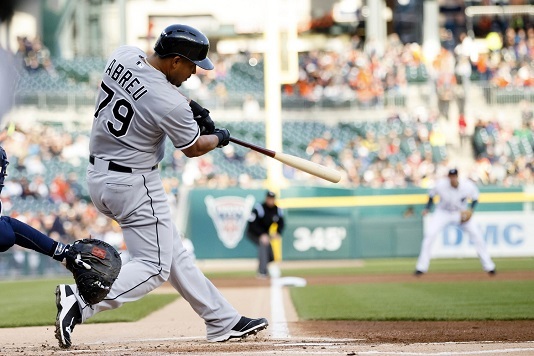 The hard cap might spur teams like the Marlins or Rockies, two teams not really known for spending on the international market, to get involved, given that they’ll have a better chance to sign some of the more desirable players. However, it may also suppress the bonuses of the best players. Would a team want to sign one player for their entire bonus pool and put all of the eggs in that basket, or would they rather sign five or 10 lesser players with the hope of one of them panning out with a lower ceiling? But in reality, the most important part about the new CBA is this: We have five more years of labor peace. Baseball hasn’t dealt with a work stoppage since the disastrous 1994-95 strike. 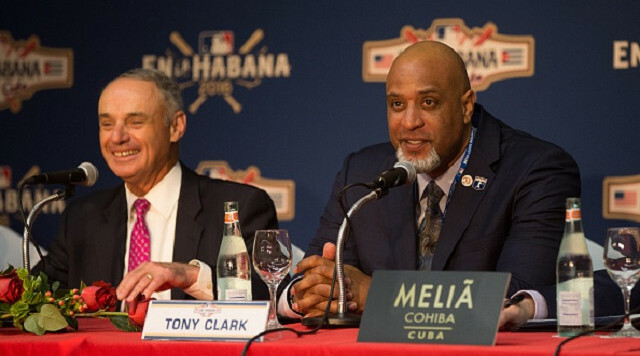 This was the first labor negotiation as Commissioner for Rob Manfred, and the first as MLBPA head for Tony Clark, and just the fact that the collective bargaining agreement was agreed to in time has to be considered a win for all sides.